​Ensuring the greater participation of African-Americans and minority groups in the health care field. NAHSE Delaware Valley Chapter salutes Al Black for his recent recognition as an “Unsung Hero” during NAHSE’s 50th Anniversary Commemoration Conference! Al received this recognition for his remarkable and often behind-the-scenes contributions to the growth and success of the national organization. Albert P. Black Jr., MBA, FACHE has over 40 years of executive healthcare management expertise in academic medicine, behavioral health and post-acute care settings. Prior to retiring in 2015, he served as the Chief Operating Officer of the Hospital of the University of Pennsylvania (HUP). Al attended both the University of Pennsylvania and Temple University as a part time student, before finishing his academic career with a Master’s in Business Administration from Temple University. One of Al’s proudest accomplishment was establishing the Summer Enrichment Program at HUP in 2011, which has provided an entry into health care for young aspiring minorities. Graduates of this program are involved in the legal profession, health care promotion, health care operations, global health, medical school and the military. Al lives in Lafayette Hill, PA with his wife Linnette Black, with whom he enjoys traveling and spending time with their children and grandchildren. Al’s favorite quote is “To whom much is given, much is expected”. NAHSE Delaware Valley Chapter celebrates Imani Adegbuyi for her contributions to the Delaware Valley Chapter and bright future! Imani holds a BA in Health Administration and Policy with a Minor in Social Welfare from the University of Maryland, Baltimore County. She is currently pursuing a Master of Health Administration Degree at The Pennsylvania State University and is slated to graduate in May 2019. After graduating, she will begin an Administrative Fellowship with Henry Ford Health System in Detroit, Michigan. Imani has been an active NAHSE member since 2016, when she participated in the Baltimore Chapter’s Summer Internship Program. She currently serves on the NAHSE National Early Careerist Collaborative and is a two-time participant in the Everett V. Scott Student Case Competition, leading her school's team to the semi-finals for the first time since 2011. In January 2019, Imani began serving as the Interim Secretary for the Delaware Valley Chapter, where she is responsible for all external and internal communications and developing creative accountability tools to support the executive board’s projects and activities. Her favorite NAHSE DVC event is the recently sold out 1st Annual Women's Conference! As an aspiring young professional, Imani is extremely grateful for the mentorship and support of her NAHSE family and looks forward to continued service within the organization. Leisurely, Imani enjoys singing and traveling and her favorite quote is "Excellence with No Excuse". 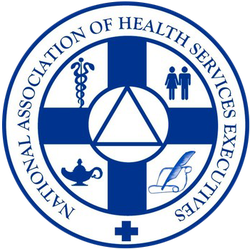 © 2015-2016 National Association of Health Services Executives, NAHSE - Delaware Valley Chapter.